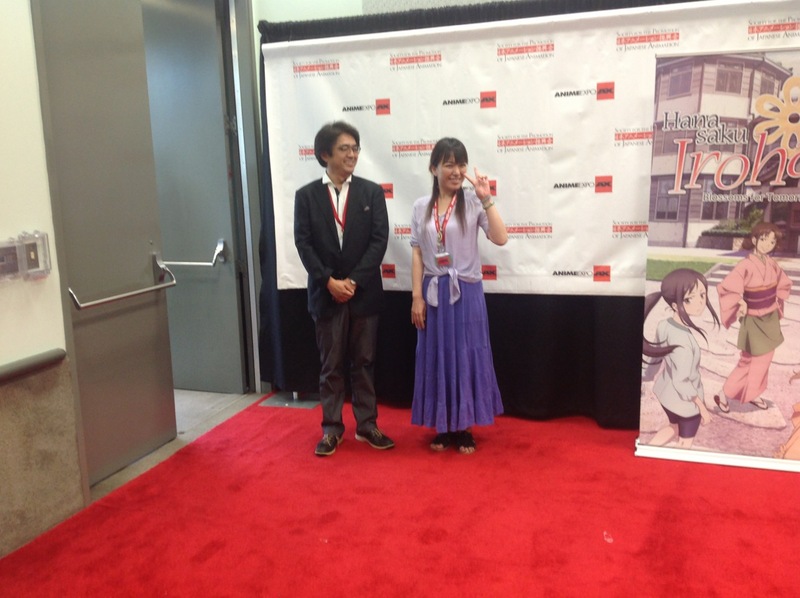 Nobuhiro Kikuchi (PA Works) and Mari Okada. Mari Okada, prolific anime screenwriter extraordinaire, lover of (true) tears and melodrama—she came to Anime Expo this year, accompanied by PA Works producer Nobuhiro Kikuchi. Here’s a tweet record of what she said in the fan and press conference panels! Mari Okada, prolific anime screenwriter, appeared in a raucous fan panel as well as a more sober press conference with her PA Works producer, Nobuhiro Kikuchi. This is a raw liveblog of their comments! Mari Okada panel starting! #AnimeExpo! Q from @omonomono: what’s her favorite True Tears girl and which one has the biggest fans? A: her generation sometimes felt that emotional straightforwardness was embarassing. She felt that screaming was a good way to show honesty. A: the offer came from a hot spring that was finishing their reconstruction from floods. #PAWorks had to figure the festival’s details. A: the animation and inn staff came together to figure out the festival’s details. The #HanaIro production committee and animators set up! #MariOkada: she was already working on the story for the #HanaIro movie when the TV series was airing. It helped smoothen the process. Kikuchi: there were a lot of lucky incidents, small miracles, that enabled #HanaIro movie to happen. #MariOkada isn’t attracted to flawless characters. Her prefers men who are flawed for instance, but also with her female protagonists. Okada apparently pulls all nighters a lot while working. She apparently shops online to procrastinate among other things!